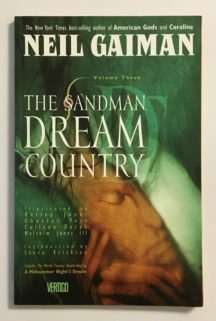 Prima editie, Volumul Trei din super seria lui NEIL GAIMAN, SANDMAN “Dream Country!” Colecteaza Sandman (1989-1996 2nd Series)#17-20. Scris de Neil Gaiman. Arta de Kelley Jones, Charles Vess, Colleen Doran si Malcom Jones III. Introducere de Steve Erickson. Softcover, 160 de pagini, full color. Cover price $14.95. 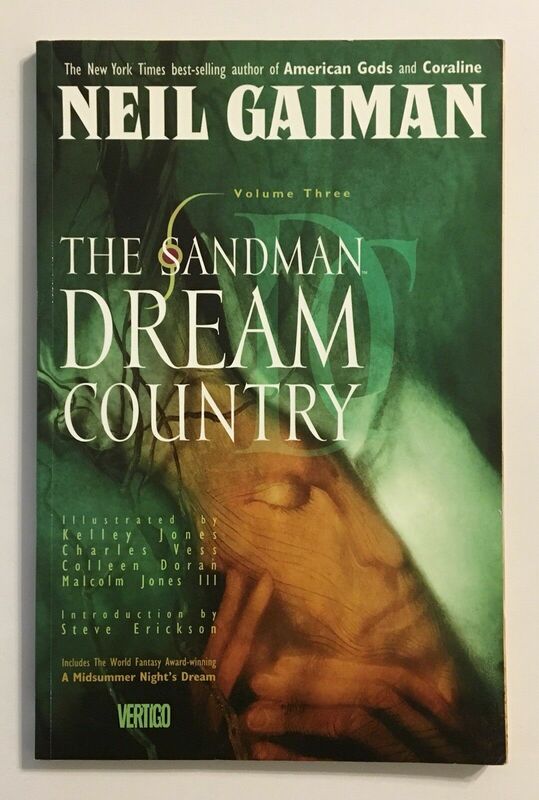 Be the first to review “Sandman 3 (Volum TPB)” Click here to cancel reply.